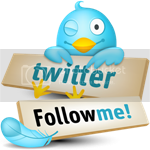 hello..!! good evening every one,in our day to day life we usually capture many images in our mobile phones,digital cameras etc. some times we feel that some good and excellent pics in which our facial expressions look damn impressive are lacking something other than brightness or any other thing. so now if you want to learn easiest way to edit photos in a minute or less than a minute. 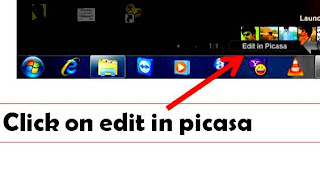 here is the trick using picasa photo viewer.this may be simple for advanced users but many people don't know about the magic of picasa.here it is for you. 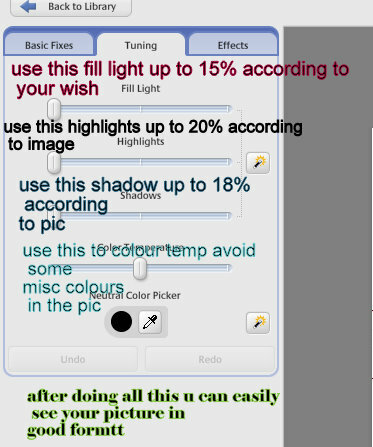 just open the picture you like to edit and click edit the image option located below the picture. then after clicking on edit image u can see that image is opened in image editor. after opening the editor you can see tuning tab right side in 2nd column. use above image to get the trick easily. do you want to replace some thing with other thing in the image.do you want to make a patch of something in the photo? 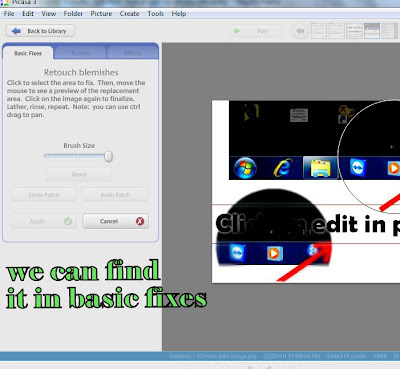 then use retouch option in first tab. to download picasa software go here .